I was upset last week to hear that the U.S. District Court for the District of New Mexico does not think that the Navajo Nation, the second-largest Native American tribe in the United States, is famous enough for Urban Outfitters “Navajo”-branded stuff to legally qualify as trademark dilution. Not a total loss for the Navajo, since they have a pretty compelling case (nonsense language like ‘tribal print’ exists because it’s illegal to pretend that you are selling the products of a particular Native American tribe unless you actually are). But it’s certainly a blow to, you know, basically any tribe that trademarks their name to prevent exactly this kind of thing from happening, because if the Navajo can’t win that argument about their name, then who can? Suggest that you do not buy stuff from Urban Outfitters or their other brands, Free People and Anthropologie, if you care about human beings. Urban Outfitters has a long history of doing this sort of thing and also not making clothes in ethical conditions. For a more comprehensive list of Native American fashion and accessory designers, check out Beyond Buckskin Boutique’s Buy Native list. This list is just a curated version of the ones I like the most: I personally tend to like simple things, and a lot of Native art is too intricate for my taste. If you have different taste than me, please do check out Beyond Buckskin’s Buy Native list. I’ve tried to include options at a variety of price points. Let’s talk a little about the history of the Navajo and why we ought to know who they are. The United States Army first encountered them in 1846, and *eighteen fricking years later* the United States government decided it was time to relocate and/or ethnically cleanse them. After all, it was the same thing they’d done in 1830 to every Native American group whose existence they’d known of. Remarkably, after the 1864 Long Walk of the Navajo, the Navajo managed to do something in the way of rebounding. They founded a police force. They almost quintupled the size of the reservation they were allotted. All this while Americans were free to fabricate horse-theft charges in order to attack random houses, to steal Navajo land for railroad development, and to steal Navajo children off to Indian boarding schools until the 1980s. At those schools, children basically had their culture beaten out of them. They were punished whenever they were caught speaking their own native language. They weren’t even allowed to keep the names they were born with. In general, Indian boarding schools had inadequate food, overcrowding, and alternated between treating children to military discipline and treating them as manual labor. All this became extra ironic when World War II came around. Because the Navajo language that Americans had been trying to literally beat out of Navajo children? It turned out to be incredibly useful. Navajo, you see, has a complex grammar and syntax, which meant that training people to understand it was very difficult. The Axis powers couldn’t understand it: fewer than 30 people who weren’t Navajo could understand it. So Navajo speakers became code talkers, encoding and transmitting messages 90 times faster than computers of the time could manage. This is a group of people who Americans have been in contact with for over 150 years, who, despite being horribly exploited, have done immeasurable good for the same people who treated them like garbage. The Code Talkers have been recognized by Ronald Reagan, Bill Clinton, and George W. Bush– probably the only point of policy those three people ever agreed on. But the Navajo are not famous enough to be nationally recognized as a household name. Because, apparently, they didn’t do a survey to prove that point. Here’s what you can do: be historically exceptional and actually financially compensate Native Americans who are doing good work! Here are some to support! Edzerza Gallery. Artist: Alano Ederza. Indigenous Group: Tahltan. Sizes XS-3X. Edzerza Gallery does everything well, really: they make cool tunics, leggings, and sterling silver jewelry. All of their clothing is designed and made entirely in Vancouver, BC, so you can be reasonably assured that it’s made ethically. One of my frustrations about their site is that you can’t filter for clothing by size, but I checked, and they do actually sell clothing from XS to 3X. Yay, plus-friendly ethical clothing! Also available at the Beyond Buckskin boutique. Artist: Dorothy Grant. Indigenous Group: Haida. Sizes 4-16. All clothes are manufactured and sold in Vancouver, BC. She makes cool ties, shawls, scarves, and handbags at expensive but non-ludicrous prices (her totes cost $475; her shawls cost cost $150-$175). She also makes really cool jackets in luxury materials for steeper prices: a minimum of $900 and a maximum of $3500. Those jackets seem to be mostly sold out in most sizes, but some are available in sizes 4-16. Artist: Virgil Ortiz. Indigenous Group: Pueblo. I really like the subtlety and the richness of Ortiz’s entire Rez Spine collection of bags. My favorite, the Carry All Tote, is sold out, but the rest are beautiful too. Personally, I’m less fond of his sculptures and pottery, but they are certainly masterfully done. Artist: B. Yellowtail. Indigenous Group: Northern Tribes (Crow and Northern Cheyenne). Sizes 0-16. Definitely a high fashion brand, but everything’s on end of season sale so it’s expensive but more accessibly priced for now (the above dress used to be $395). Bethany Yellowtail’s work got a lot of social media attention with a viral video about what happens when an actual Native American makes fashion– an article about her has appeared in Business Insider and the Huffington Post, to name a few. Art from Above. Artist: Justin Rivard. Indigenous Group: Cree. Art generally in Northwest Coast aesthetic, which apparently I like. 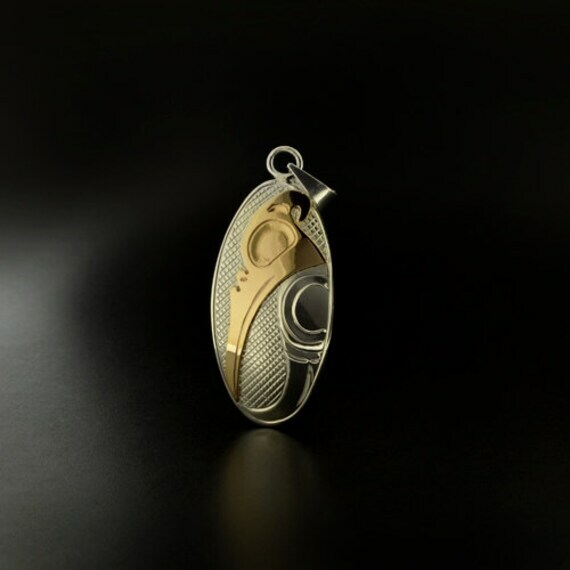 Justin Rivard makes jewelry that’s swoopy and angular at the same time, and intricately done– look at the cross-hatching on that pendant– without detracting from the clarity of his designs. Seriously, look at one of these amazing cakes. Now go to their Facebook page and look at some more. And if you’re in Arizona, buy their cakes and tell me how delicious they are. Tracey Designs. Artist: Ray Tracey. Tracey’s inlay work is exceptional. 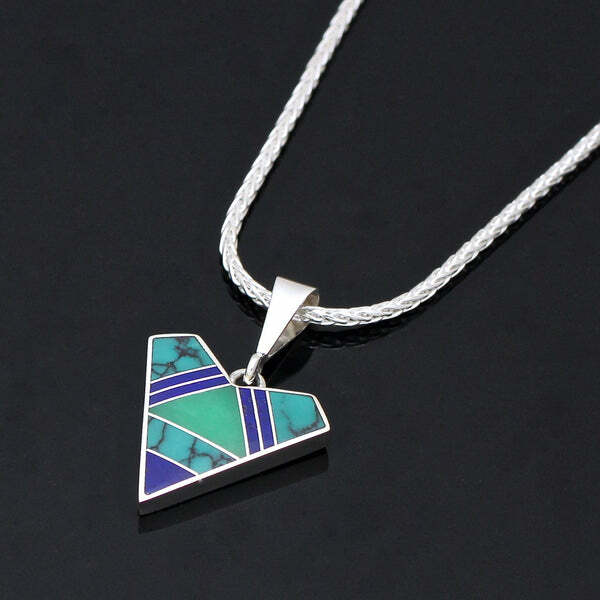 In general, the Navajo are known for their silverworking, and Ray Tracey does an especially good job. Edit 6/15/2016: Corrected court name. The court’s opinion doesn’t find that the Navajo Nation is not a famous tribe. It finds that the Navajo *trademark* is not famous *as a brand name. * I can’t disagree with that. Until I read the opinion, I didn’t know that there were products licensed under the Navajo brand name. I find this article very interesting and informative on several levels. Its gotten me wanting to read more about the Navajo people. Thank you for this. You’re welcome! I’m really glad it sparked an interest in learning more.